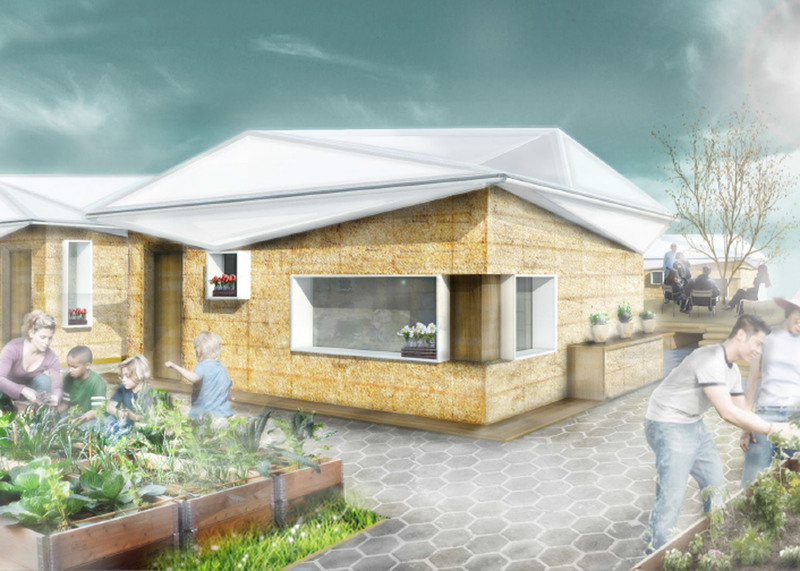 One winner, Agrishelter, was described by the jury as a "hipster movement for refugees". It encourages residents and communities to be involved in creating accommodation using locally found materials. Proposals for a travelling kitchen and a website that enables refugees to sell their own photographs are included in the five winning projects of the first What Design Can Do Refugee Challenge. The shortlisted designs were selected from 631 entries that focus on offering services and practical products to improve refugee's lives. The first winning project, titled Makers Unite, aims to brings communities together to turn leftover debris from the humanitarian crisis, like discarded lifejackets, into meaningful new products. Eat and Meet, the second winning project, was conceived by a multidisciplinary team of architects, interior designers and urban planners. The project explores an age-old belief that eating a stranger's food is a form of intercultural trust. The team proposed a travelling kitchen as a platform for food events where people of different cultures can share experiences. Another winner, Agrishelter, was described by the jury as a "hipster movement for refugees". It encourages residents and communities to be involved in creating accommodation using locally found materials. Reframe Refugees is a website enabling refugees to sell their own photographs to media, NGOs, pressure groups and governments. The jury praised its innovation in creating "a service provided by refugees and for the benefit of refugees". The final winning project, titled The Welcome Card, is a small device that would allow refugees to access their personal information via card readers and password-protected software installed at refugee centres. This would ensure that refugees without access to smartphones could monitor their asylum application process, while also gaining access to information about their rights in different countries. The five winners were unveiled today by Dutch minister of foreign affairs Bert Koenders at the annual What Design Can Do conference in Amsterdam, which runs from 30 June to 1 July 2016. Each winner will now receive €10,000 (£8,000) to develop their idea into a working prototype.